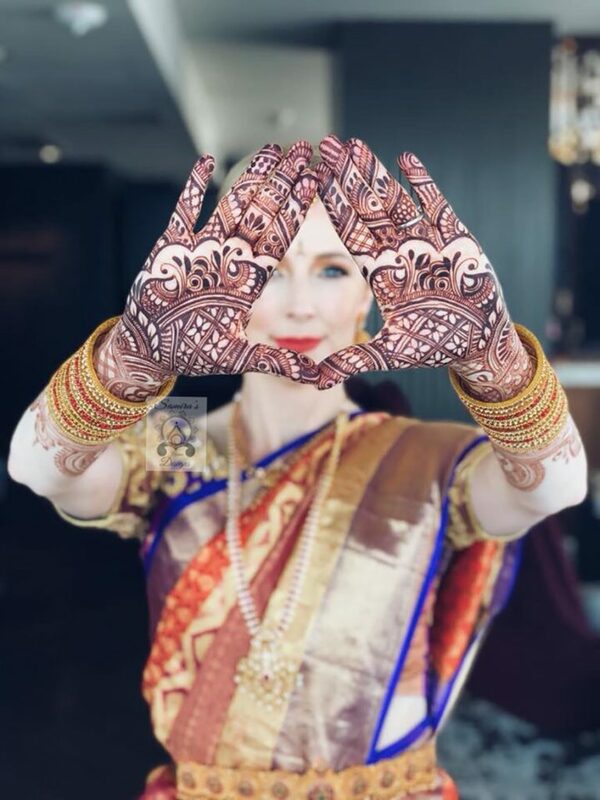 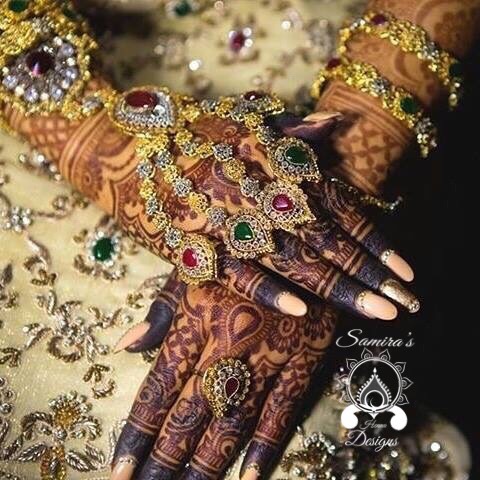 Samira is a professional henna artist that creates elegant designs from tradition to contemporary for all your special events. 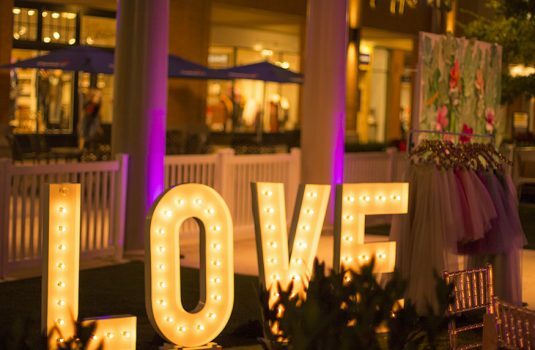 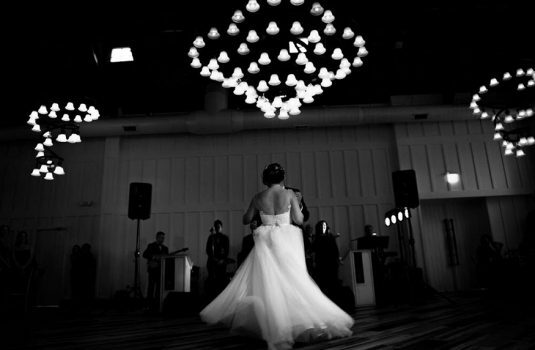 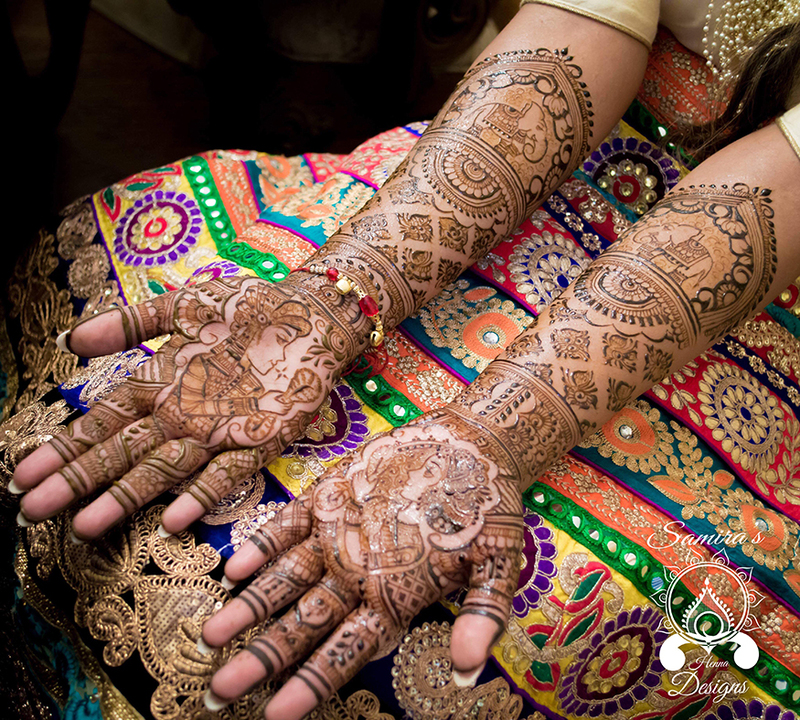 She specializes in bridal and is well known for incorporating breath taking traditional bride and groom figures in her art. 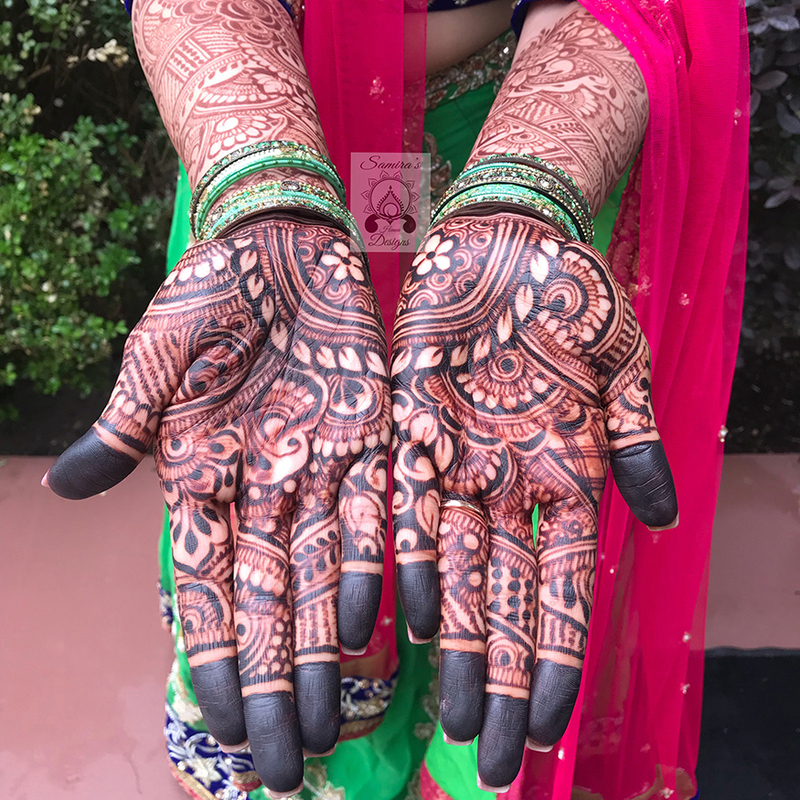 She only uses natural henna that she prepares fresh weekly for each event. 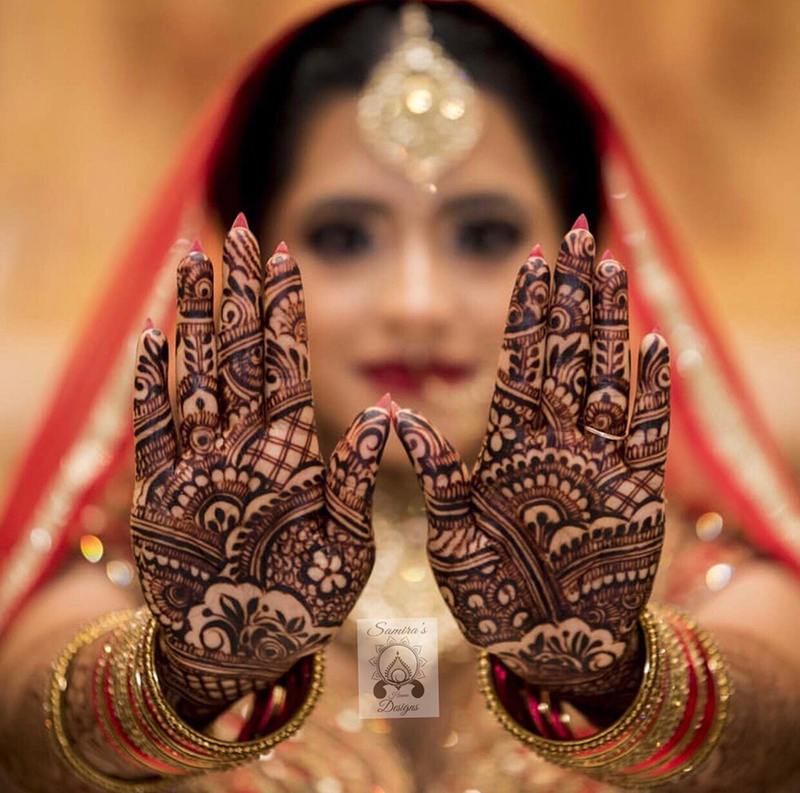 She has won awards and has been published by blogs recognizing her lovely work. 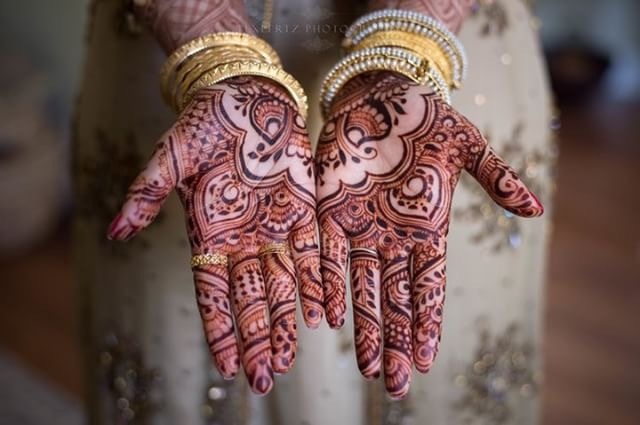 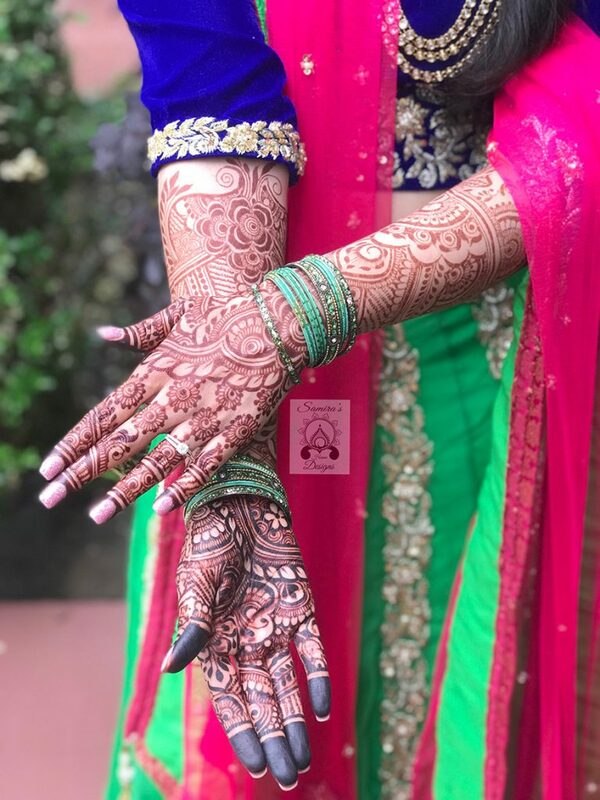 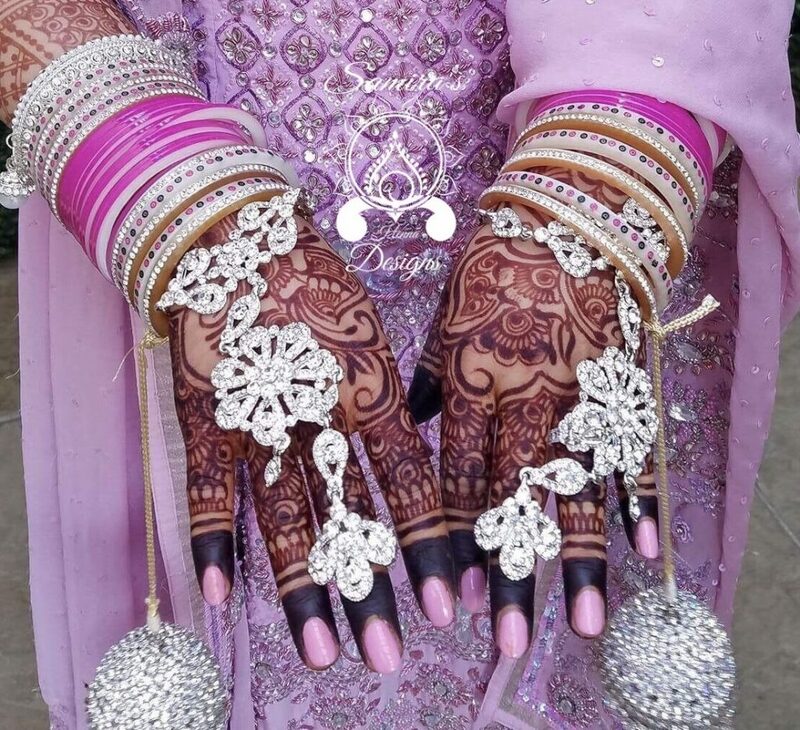 If you want bridal henna that shares your special story, then make sure to contact Samir’s Henna Designs for your perfect Bridal Mehndi needs.